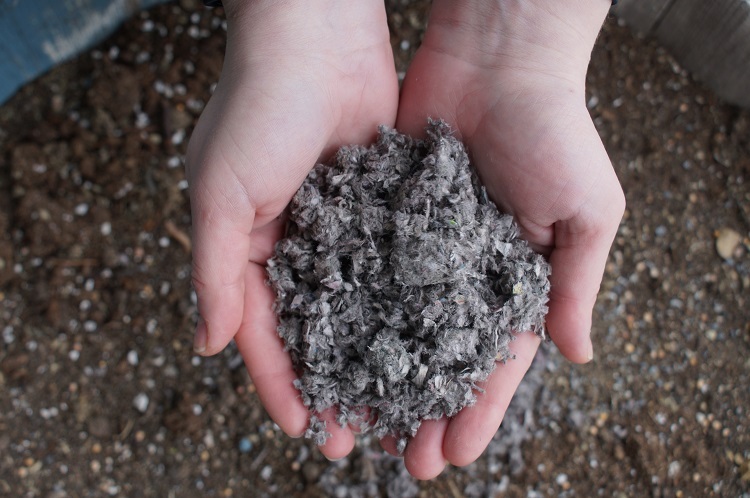 In 2015, PittMoss, an Ambridge-based company that turns recycled paper into organic gardening mixes, came away from Shark Tank with a $600,000 investment from Mark Cuban. Now, after targeting the brand at nurseries and greenhouses, PittMoss released its first retail line for home gardeners. “Over the past couple years we’ve had consumers calling us wanting to use the product,” says PittMoss CEO Brian Scott. He adds that the team spent the last nine months developing mixes more suited to home growers. Unlike their commercial products, which provide horticulturists with a base to create their own growing formulas, the retail versions are pre-mixed and ready to use straight out of the bag. Consumers can choose between the more customizable PittMoss Prime or a PittMoss Performance mix that contains a controlled-release fertilizer. Modeled off the fluffy, moisture-retentive qualities of peat, PittMoss is touted as delivering more life-giving materials to plants. Mariani adds that their product also offers a more eco-conscious alternative to peat-based mixes. Peat, a dark, nutrient-rich material found in wetlands around the globe, has become prized by growers for its many beneficial properties. Big name brands like Miracle-Gro sell a litany of products featuring peat as the main ingredient. But in recent years, the mass harvesting and importing of peat has become a major environmental issue. During climate change talks last November, the United Nations Environment Programme (UNEP) released findings showing how the demand for peat has disastrous, worldwide consequences. Studies by the UNEP found that the draining and burning of peatlands account for up to five percent of human-caused carbon emissions. The report also strongly implies that, in 2015, peat fires in Indonesia directly contributed to 100,000 deaths and caused the equivalent of $16.1 billion in damages. To emphasize their commitment to sustainable practices, Scott says they also plan on only distributing their retail products to home and garden centers in the region. That doesn’t necessarily mean customers outside of Pittsburgh will miss out. They can purchase the retail line online, all with free shipping, at the PittMoss e-commerce site or at the company’s Amazon Prime store. The PittMoss retail line will officially launch on February 18 during a special event at the company’s Ambridge headquarters, where investors and the public are invited to enjoy tours of the PittMoss facilities, demonstrations, giveaways, door prizes and more.